Find your hidden treasure here! Don't Be Left Out in the Cold, Come in and See our Wonderful Winter Selections! St. Mary’s Thrift Shop Needs Volunteers! One unsung ministry at St. Mary’s which is in DESPERATE need of parish volunteers is the THRIFT SHOP! We have a wonderful group of volunteers already in place but this Dream Team is overwhelmed by the sheer abundance of generous donations! Please consider volunteering at the Thrift Shop sooner rather than later. Give as much or as little of your time as your schedule allows and watch the fruits of your labors grow! Discounts are awarded to those volunteers who help out on a weekly basis. Our only requirement is that all new volunteers go through a single 45-minute training session either on a Tuesday or Thursday morning (to be mutually arranged with the manager or assistant manager). Experience, first hand, the joy and comaraderie of volunteering at the Thrift Shop. Please contact Terri Maciejewski (Manager) 262-784-6644 or email sistermaryterri@gmail.com. Provide a welcoming atmosphere for all customers, and an atmosphere where volunteers have fun, nurture friendships, and encourage one another. Allow homeowners the opportunity to reduce their surplus and keep things out of landfills. The Thrift Shop considers good stewardship of our environment an important aspect of showing gratitude for God’s beautiful creation. 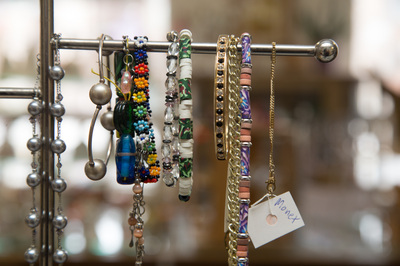 Therefore, donated items that we do not resell or re-donate are recycled through Good Earth Recycling. Our customers comment frequently on the welcoming hospitality, kindness, and courtesy we show to all who enter our shop. In addition, we have become known for the cleanliness of our shop and the attractive display of our high-quality merchandise. The St. Mary’s Thrift Shop carries clothing (primarily seasonal) for the entire family, as well as a large variety of home goods, books, toys, sporting goods, fabric, knitting, sewing and crafting items, vintage and antique items, and small furniture. Most of our clothing merchandise is new, consignment quality or gently used. All of it is sold at thrift store prices. Saturday: 9:00 a.m. – 1 p.m. 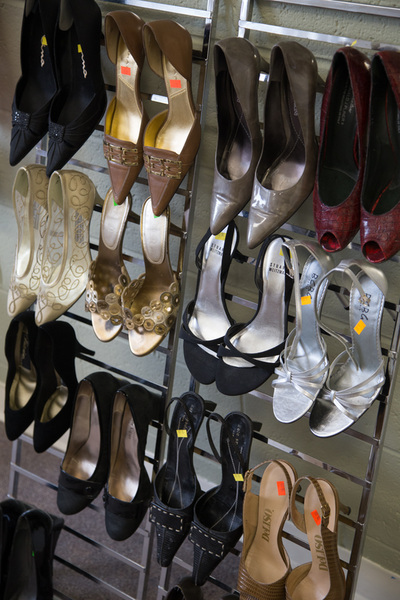 The Thrift Shop depends on and thrives because of your beautiful and gently used donations. Therefore, St. Mary’s Thrift Shop gratefully accepts donations 24 hours a day! 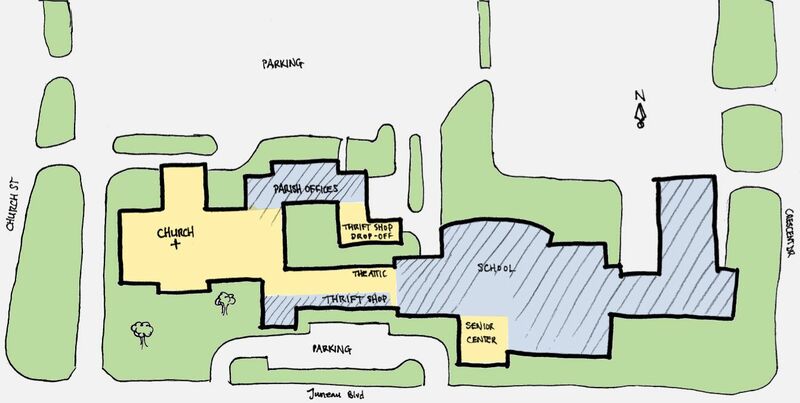 Checkout our wonderfully convenient, drive-up, heated drop off location! Just enter the Church parking lot and proceed straight ahead to the far east end of the parking lot. You will see the garage doors and Thrift Shop donation door on your right. Pull right up! See the map. **For the sake and safety of our volunteers and customers, the Thrift Shop highly discourages dropping off donations in the store or anywhere in front of the store or in the store parking lot. Thank you! Donation forms for tax purposes can be found in the drop off area or in the Thrift Shop, itself. The Thrift Shop is always looking for enthusiastic, customer-friendly, dedicated volunteers (ages 16 and older) looking to help others, as well as the Parish. 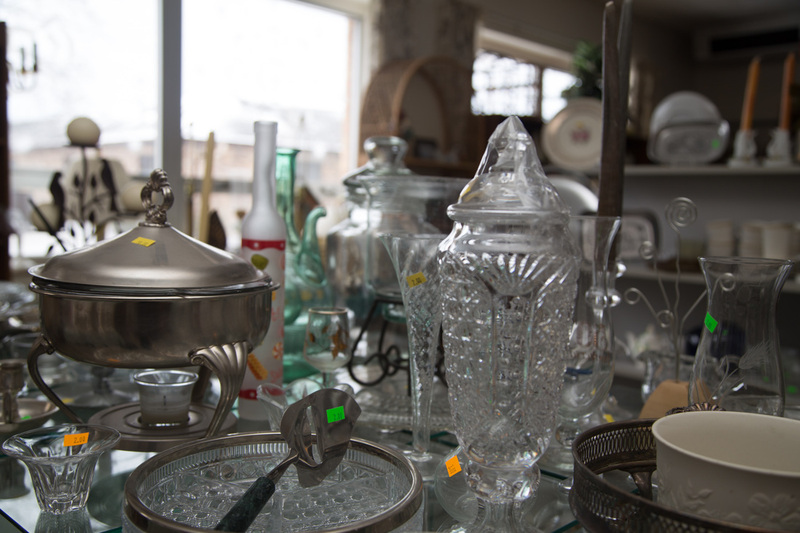 St. Mary’s Thrift Shop is continually blessed with large quantities of beautiful and varied donations. To keep the shop running smoothly, volunteers help sort, price and put selected donations on the store floor. In addition, volunteers help display items on the store floor, clean the store when and where necessary, organize items in the store and work the cash register. Volunteering at the Thrift Shop presents an excellent opportunity to build and nurture friendships, fulfill high school service hours, encourage other volunteers in the ministry, and listen and laugh with each other. In an atmosphere of sharing and friendship, the customer isn’t the only one who leaves happy! Discounts are awarded to those volunteers who help out on a weekly basis. You determine your level of involvement! Any time and talent you lend directly impacts: those in need, the Thrift Shop's atmosphere and our Parish bottom line! What a fun way to give back! Please consider volunteering with some old friends and leave with some new ones, all while helping others and the Parish, too! We guarantee you are going to love it! If interested, please stop in during normal hours of operation or contact Terri (Manager) 262-784-6644.